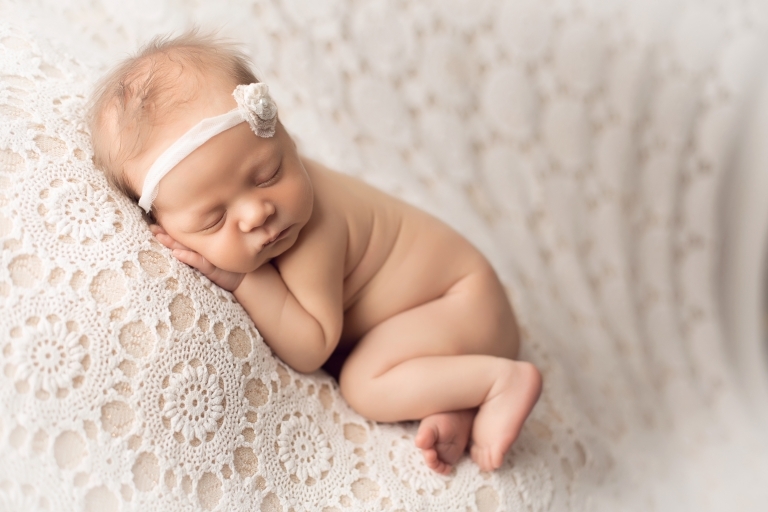 Pretty much anything can happen during your newborn’s session. It’s just one of those things that we can’t predict. But, I can share some things with you that might help to put you at ease! 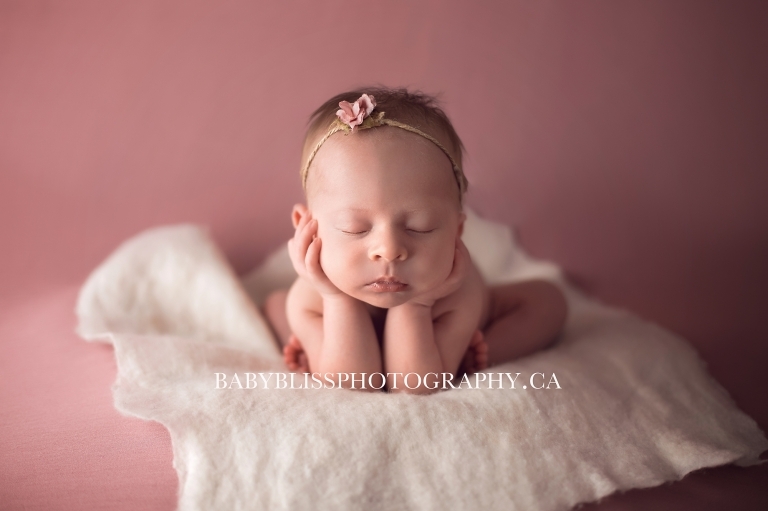 If you have any questions just give me a call at Baby Bliss Photography and I will be glad to help. It’s my hope that your baby will sleep through their session. But, if they won’t; don’t worry! A newborn session can be up to 3 hours in length and I have lots of tricks to help them stay calm and relaxed. 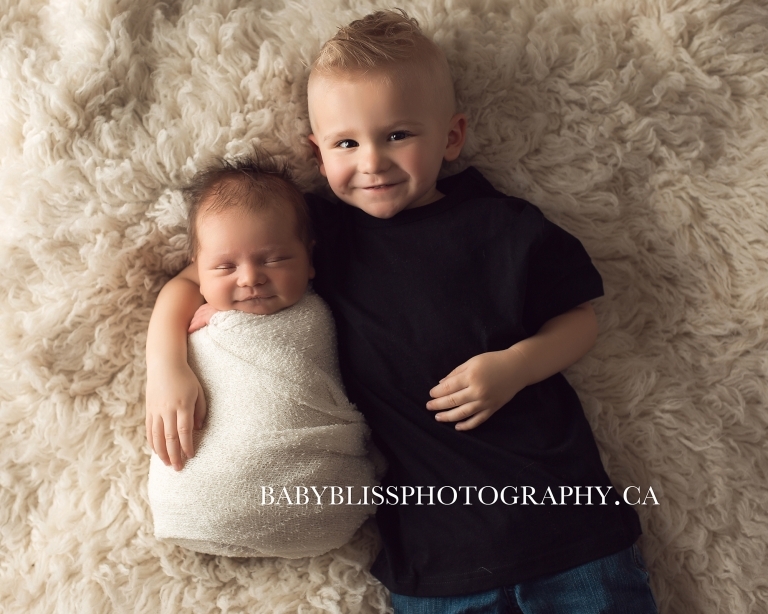 If family portraits are on your list, I will work with your family and newborn together first so if there is an older sibling(s) involved, they can head home or head outside on the grounds of my studio at the Caetani Cultural Center. After that moms and dads are encouraged (unless I need someone close to the bean bag for newborn safety) to sit back and relax and admire their newborn baby while I work my magic! Baby will probably get hungry, and this is normal. I mean…it’s so much work being cute and posing! I’ll let you know if I think you should feed him or her in hopes that it will help get them back to sleep again. A soother is also a great tool to bring and I will encourage you to do so. The safety of your baby is important to me, so I may ask you to step in to help me for a few poses. Some of those amazing shots are composites. When posing undressed babes, it is normal and even expected that he/she will “relieve” him or herself on me or my backdrops. I can assure you this happens all the time and I am not upset or offended. Please also note, I always launder the items babe comes into contact with regardless of whether or not they are soiled by your baby. When we’re all done you can bundle up sweet pea and expect to get an e-mail from me, within a few weeks with a link to your Online gallery. But, check our Facebook and Instagram pages! You might see a few sneak peeks there too. Im interested in doing a maternity photoshoot and new born photoshoot with you. Im due around Aug 3. Im curious what your prices are and if u offer packages for multiple bookings?